What a busy day here at Lone Star Westie Rescue reporting on all our adopted fur babies. We are pleased to report another happy ending and this one is especially a happy tail. 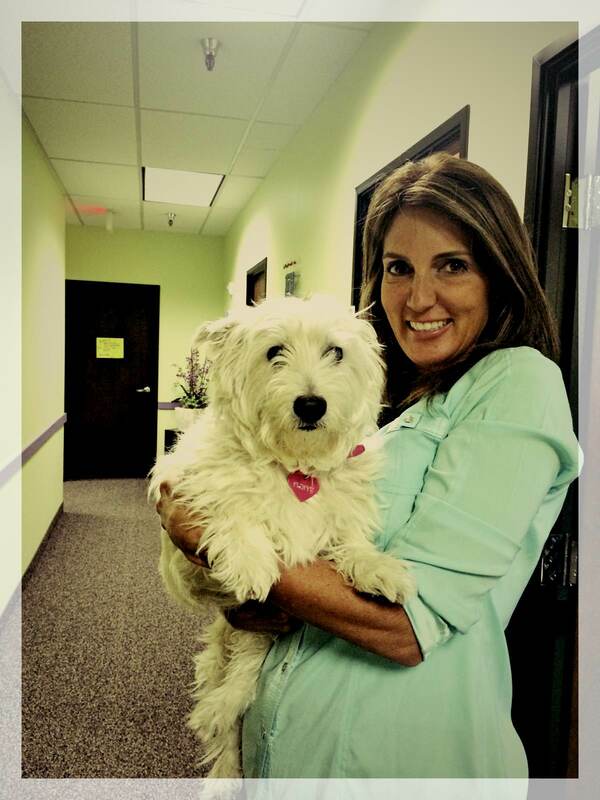 Fluffy was surrendered to Lone Star Westie Rescue last summer at the age of 11. Two of our dedicated volunteers drove to Austin to retrieve Fluffy and her senior brother. Once Fluffy’s “furever” mom took a look at her it was love and Fluffy was taken into her new furever home. What makes this story special is that Fluffy is now the new therapy dog for Girls To Women Health and Wellness in Dallas, Texas. What a great ambassador Fluffy is for all the senior dogs out there waiting for their “furever” homes.